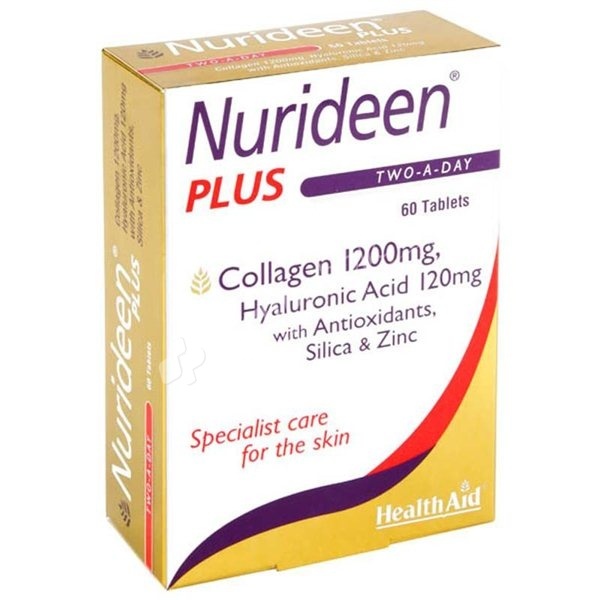 Nurideen Plus Tablets are a unique high strength formulation which combines the benefits of the most well known ingredients for skin health. Beta-carotene and Vitamin E are powerful antioxidants which help protect the skin from premature ageing caused by oxidative stress; Vitamin C plays a vital role in collagen production and helps protect the fibers that support skin structure; Zinc is an essential mineral that helps regulate the activity of the oil glands, keeping the skin looking healthy and radiant. Yeast free, Gluten free, Artificial colours free, Preservatives free, Flavouring free, Wheat & Salt free.